Restoran Soong Kee @ Jalan Tun H.S. 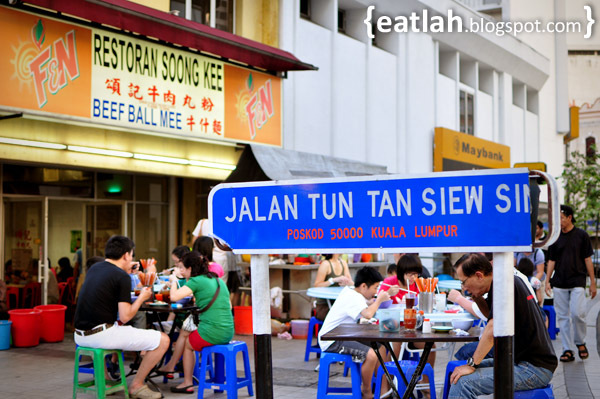 Lee, KL | where and what to eat lah? 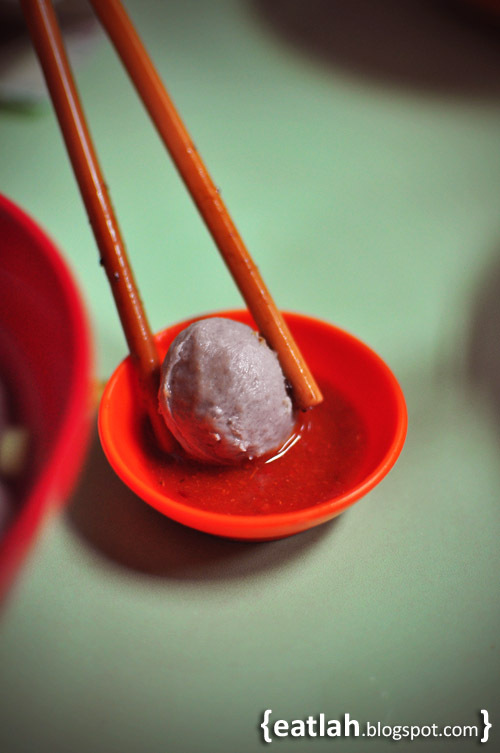 Started after World War II in 1945, this pre-merdeka Restoran Soong Kee is well-known for their famous Beef Ball Noodles. Located at the intersections of Jalan Tun H.S. Lee and Jalan Tun Tan Siew Sin (across RHB Bank), this area is perpetually traffic jam with no proper parking spots. For convenience sake, there is another outlet located at Lot 10 Hutong. Still, this is like one of THE place to be when it comes to beef ball noodles. 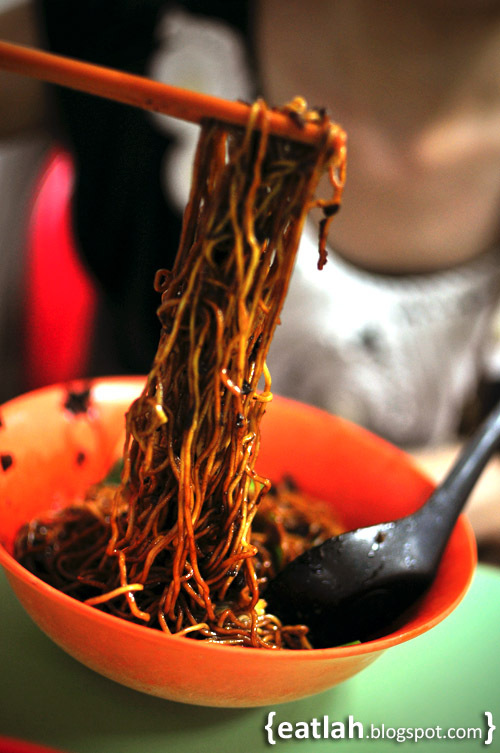 The famous springy thin Hakka noodles topped with finely minced pork cooked with the requisite family's secret concoction of herbs and spices (RM 5 for small, RM 6 for big). 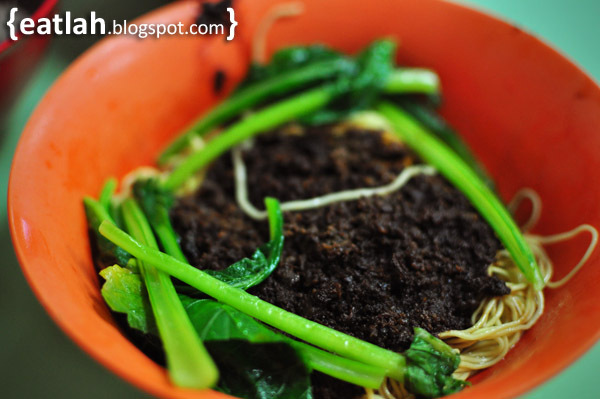 Mixing the minced pork sauce and noodles together for a sinfully delicious and satisfying meal. 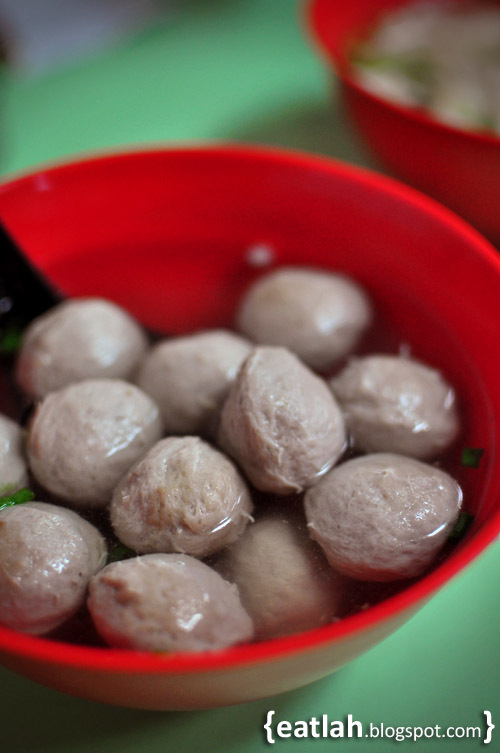 Bouncy and springy Beef Balls (RM 6 for small, RM 10 for big), with texture similar to fish balls. A good beef ball noodle normally comes with a great chili sauce. 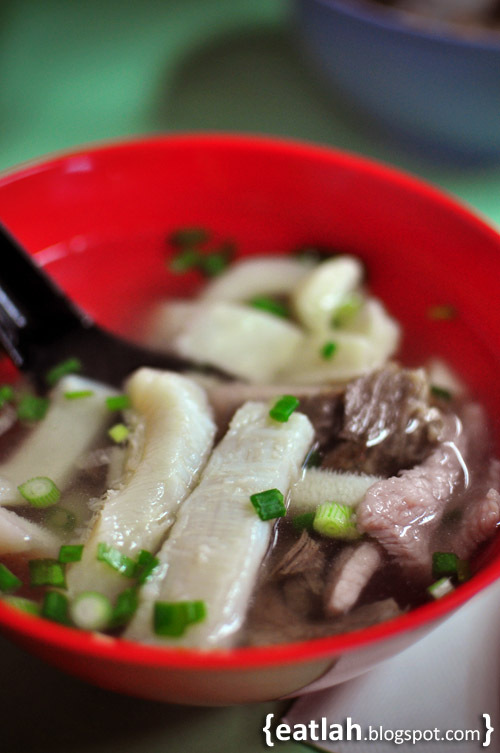 Generous bowl of beef consomme filled with mixed beef slices, tripe and tendon (RM 6 for small, RM 10 for big). Everything was so tender! Surprises were endless at Restoran Soong Kee as we were given free gelato to try from a small freezer kiosk located inside the restaurant. JezRipe Fresh Fruit Gelato is locally made from 100% fresh fruits, low sugar content and doesn't contain any dairy ingredients. 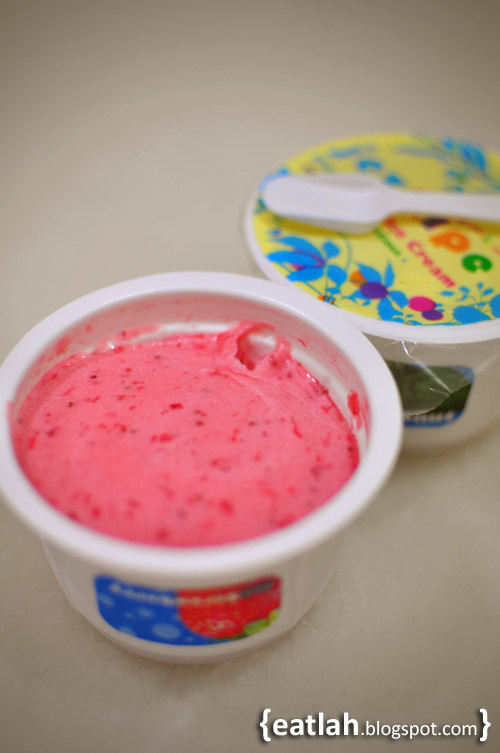 We used to stock up on our favorite flavors like Coconut, Durian and Strawberries when it was still RM 3/cup. It shot up to RM 4 and we stopped buying it! 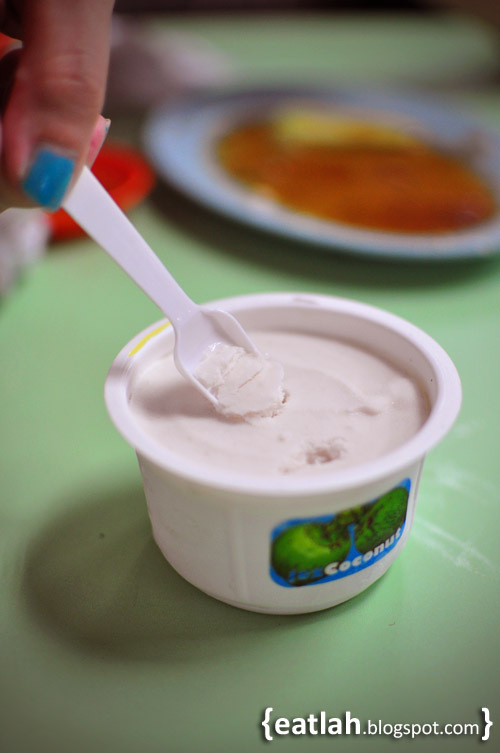 We loveeeee coconut ice-cream and can hardly find it here; it's a must-eat whenever we traveled to Bangkok. 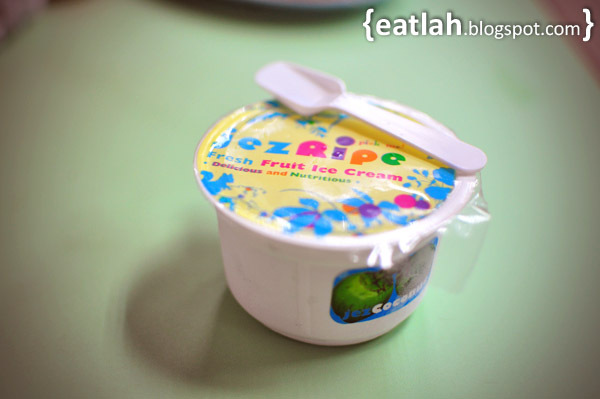 JezRipe's coconut gelato is decently smooth with a real and rich coconut flavor. 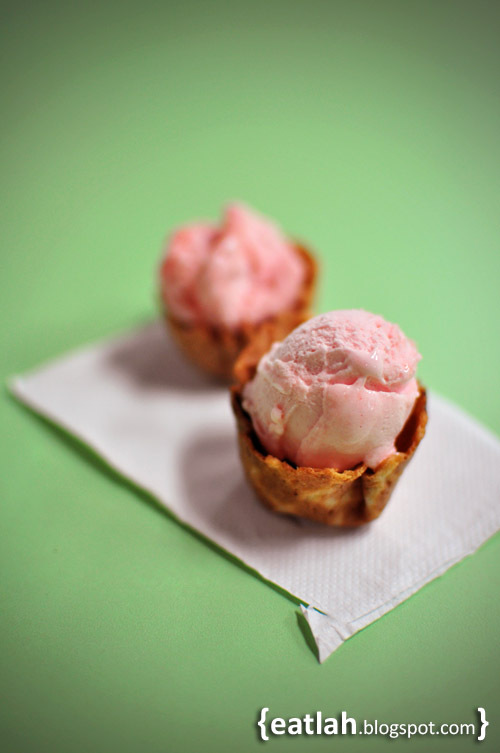 This was our temporary fix for coconut ice-cream cravings. The strawberries flavor is pretty good too, it's a little sourish and sweetish at the same time with bits of strawberries in it. 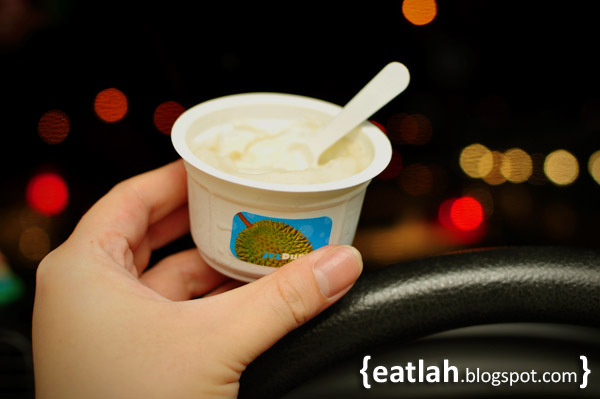 For durian lovers, the durian flavor is strong and rich - we couldn't resist not having another cup while driving back home! Verdict: Parking and traffic jam can be a nightmare, it's best to go late or during Saturday evening. The other main attraction here is the Loa Yau Kee Porridge stall located right outside the restaurant. Business Hours: Opens from Mon - Sat 11am - 10:30pm. Closed on Sunday and Public Holiday.